Natalia has enjoyed an outstanding season for the girls varsity basketball team. 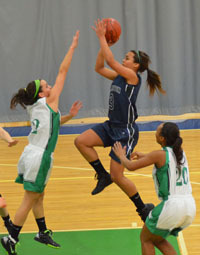 Natalia leads the team in scoring and last week netted 17 points last week in games against Cheshire and Taft. On Wednesday she scored a career-high 33 points against Miss Porter’s, the most by a Williston player since 2002. 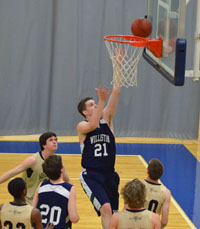 Last week Keegan scored a career-high 22 points against Loomis Chaffee and followed with 12 points and 12 rebounds in the team’s win over Westminster. Keegan has been both a defensive force and an offensive threat, to help the squad remain competitive throughout their challenging schedule. Rosie has had an outstanding season as the goalie for the girls’ jv hockey team. In the past two weeks Rosie has given up just a single goal in each of the team’s last four games as they have defeated Cushing, Loomis and Northfield Mt. Hermon.